The Red Stockings started a 10-game road trip in early June with their first stop in Brooklyn to play the Atlantics. Boston had a 4-3 record, good for fourth place, four games behind the Philadelphia White. Brooklyn was 3-4 in fifth place, five games back. The two teams had split a two-game series in May with Boston winning the first game, 8-2, and losing the second, 11-10. The teams played at the Union Grounds, baseball’s first enclosed grounds, constructed by William Cammeyer and opened in 1862. Al Spalding pitched for the Red Stockings with 17-year-old Jim Britt pitching for Brooklyn. The game also produced a controversy that perhaps reflected baseball’s recent transition from pre-professional days when original rules, as envisioned by Henry Chadwick, required “gentlemanly” conduct. The controversy continued when team captain Ferguson confronted umpire Bomeisler. Ferguson had already complained about an “objectionable decision” in the bottom of the first when Bomeisler called an Atlantic runner out at second. Ferguson complained that second baseman Ross Barnes had missed the tag on a throw from catcher White. According to the Eagle, Ferguson “came from the field [and] began to abuse the umpire for his decision [negating the triple play], and to question the integrity of his action.” Bomeisler promptly “retired from the field,” refusing to continue as umpire. The victory was Spalding’s only shutout in 1873, when he pitched in 60 games, starting 54, and ending the season with a 41-14 record. Brooklyn pitcher Britt, on the other hand, retired after the season with a two-year record of 26-64. 1 “Base Ball,” Boston Herald, June 3, 1873: 2. 2 “Base Ball,” Brooklyn Daily Eagle, June 3, 1873: 3. 5 “The National Game,” New York Herald, June 3, 1873: 4. 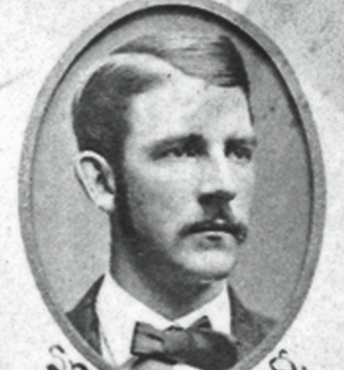 8 With almost poetic irony, the National League banned Higham (who had ended his playing days with the Troy Trojans in 1880) from baseball in 1882 for fixing games as an umpire.